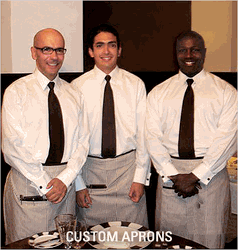 When designing uniforms for restaurant servers, you want to settle on items that are both fashionable and high-performing. If you're looking to make a statement, pinstripes are always a great bet. 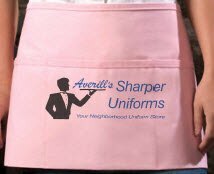 Give your female waitstaff a look that is simple yet stylish with this Ladies Three Quarter Sleeve Restaurant Waitstaff Pinstripe Blouse from our trusted team here at Averill's Sharper Uniforms. 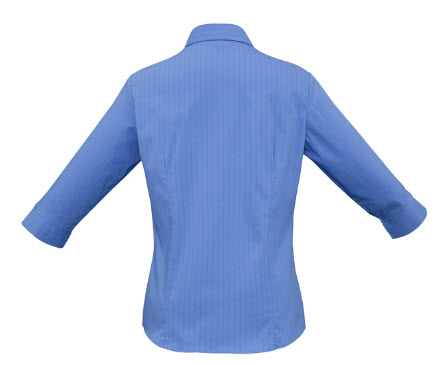 Both casual and comfortable, this blouse still exudes a sense of decorum and order conveyed by the attractive pinstripes that gives it its own unique distinction. 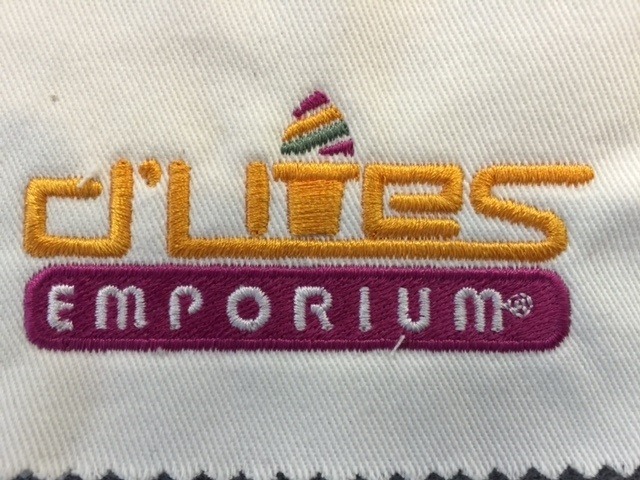 The stylish buttons on this blouse go up to the collar. The sleeves are three-quarter length, providing warmth while giving busy arms enough space to operate without dangling fabric getting in the way. 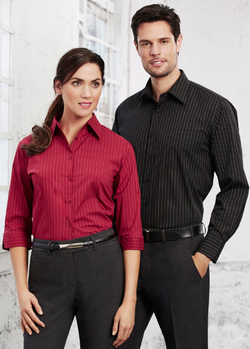 To maximize comfort, this uniform waitress blouse is made with a curved hem and features a 60 percent cotton, 35 percent polyester and 5 percent elastane material. 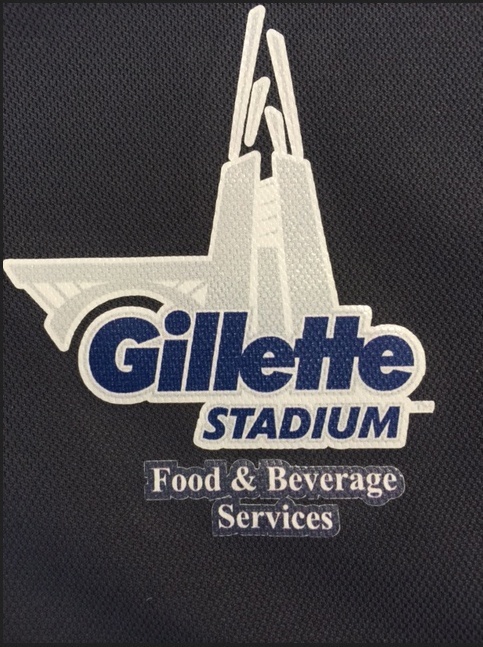 Provide your female staff with a classy variation on waitress uniforms - order this Ladies 3/4 Sleeve Restaurant Waitstaff Pinstripe Blouse in bulk with special pricing here at Averill's Sharper Uniforms.